The World Bank is deciding whether to fund construction of a new coal-fired power plant outside Kosovo's capital, despite a 2013 pledge to avoid funding coal projects. Kosovars currently get a majority of their electricity from low-grade lignite coal reserves, but air pollution takes a toll on their health and already causes over 800 premature deaths each year. A report by Institute for Energy Economics and Financial Analysis (IEEFA) and Kosovo Civil Society Consortium for Sustainable Development (KOSID), sheds further light on why another coal-fired power plant in Kosovo would be the wrong direction for the country's development. 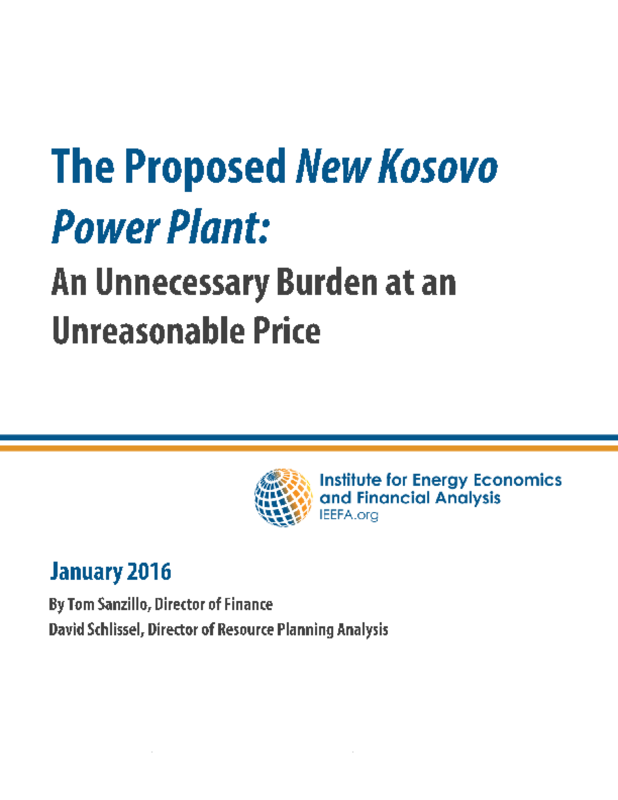 According to the report "the people of Kosovo will have to drastically reallocate their household budgets to pay for the New Kosovo Power Plant if it is built." For instance, if a number of assumptions, like construction costs and economic growth rates, are not met, it is likely that household electricity costs will rise in the country to over twice the European average. The report also projects that the huge debt burden on banks in a country the size of Kosovo will crowd out other new investment across the country. At a November 2015 TEDx presentation, Visar Azemi, a coordinator at KOSID, described the challenge posed by the coal plant as an opportunity for civil society members, think tanks, media organizations and grassroots activists to come together and collaborate on sustainable future for Kosovo, in line with global developments. The report notes that Kosovo has appealing alternatives, including implementing energy-efficiency measures and installing renewable energy sources, that would be less expensive and stimulate a broader range of economic development. Copyright 2016 Institute for Energy Economics and Financial Analysis (IEEFA), Kosovo Civil Society Consortium for Sustainable Development (KOSID).